If you are burdened with a painful vertebral compression fracture and you live in Chicago, Frankfort then you are in a good fortune, there is where the prestigious Pain Management Institute by Dr Zaki Anwer, MD, for in- patient Kyphoplasty is located. “The other fractured vertebral columns were silent until I was playing golf and the moment I felt that back pain, I remembered what it was. The same pain I endured a few years ago. The very same day I visited Dr. Zaki Anwer, MD, at the Pain Management Institute, at first he recommended some pain medications and also we tried some conservative treatments such as Physical therapy. A week later Dr. Zaki Anwer,MD, took an MRI and suggested that he would operate. “Dr. Zaki Anwer, MD planned a different surgery that the one I had before. 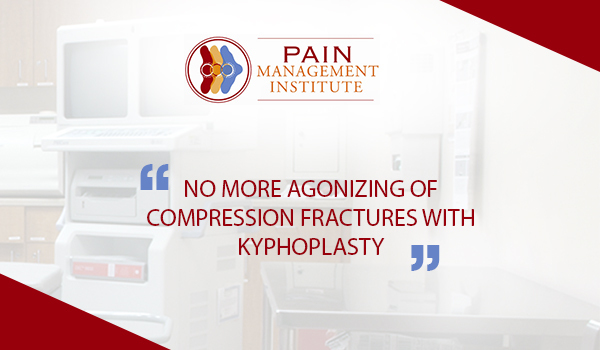 It was Kypholplasty, a minimally invasive surgery performed under general anesthesia. Dr Zaki Anwer, MD, made two small incisions in my epidural space with the guidance of an X-Ray placed a probe into the epidural space where the bone was damaged”.